In certain corners of Manhattan—most commonly the Upper West and East sides— the sidewalks spill over with teenagers gossiping and joking around before and after school. While this might sound perfectly normal, the sight itself isn’t: where you might expect to see a Jansport backpack or LL Bean tote, you’re likely to be greeted instead with a carryall from Goyard or a Proenza Schouler satchel. You’ll notice that Tod’s loafers abound where sneakers usually reign, and that the only keychains this crew is partial to come from Fendi. Fascinated—and, admittedly, a little baffled—by the seemingly gilded lifestyle of these young people, I met up with three New York City teens of varying backgrounds to find out the nitty grity on their shopping habits (or their parent’s shopping habits, in some cases). Although what they revealed to me is in no way true across the board—many city kids live more modestly—it certainly confirmed that for a subset of this population, luxury is the norm, regardless of one’s age. They get shopping allowances. Two of the teens that I spoke to claimed to have monthly shopping allowances, and admitted that it was common amongst their friends. With sums ranging from $500—$1,500 per month, many of them are racking up more money than the average minimum wage worker per year. “It usually surges at back-to-school time,” one teen admitted. They are loyal to a strict set of brands. Interestingly, they all seemed partial to a very strict set of brands: Chanel, Tod’s, Céline, Lululemon, Louis Vuitton, Jennifer Fisher and Tory Burch. 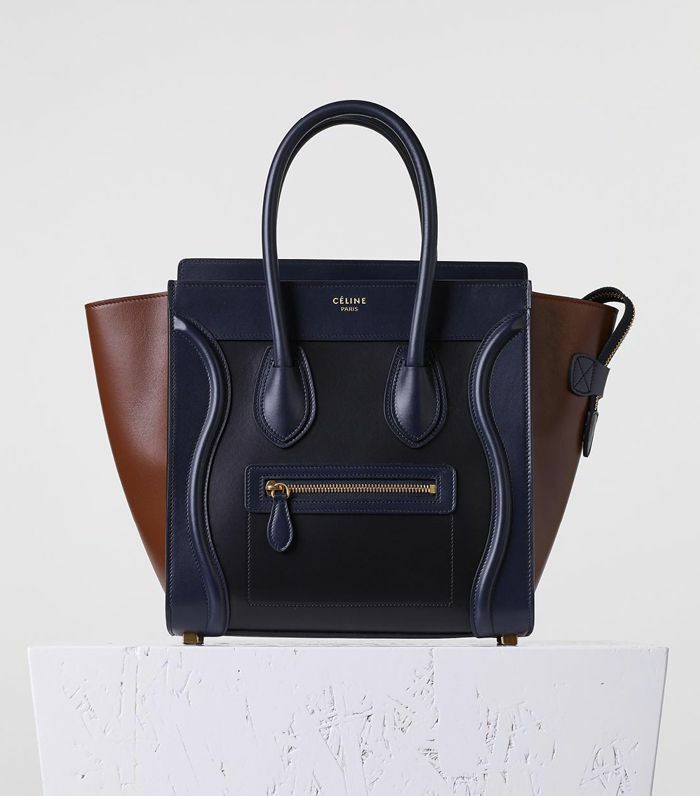 In fact, a scroll through their Instagram accounts revealed the Céline Phantom tote to be an MVP item. When asked if this meant they liked Phoebe Philo, none of the teens knew who she was. They go all out for big events like prom. Although it’s not unusual for teens to splurge a little more for big events, wealthy Manhattanites take prom as seriously as they might a wedding. The planning often begins the year prior, and entails calling in special designer dresses and gowns that you can’t find on the rack. That, or they’ll order something from Net-a-Porter. They have personal shoppers. Usually passed down from their mothers or older siblings, a few of these teens rely on personal shoppers at the city’s nicest department stores like Barneys and Bloomingdales. These shoppers will keep their eyes peeled for any new products that might appeal to the teens and e-mail them whenever something of note comes in. “In some cases, they’re like your second family,” one teen joked. Fast-fashion is an afterthought for them. Though none of them are opposed to shopping at stores like H&M and Zara, it’s never their first choice. Instead, the part of their wardrobes that isn’t from a luxury brand will come from the likes of Reformation, Free People, Lovers + Friends and J Brand. Clothing is the ultimate status symbol. Although some of the teens didn’t like that this was the case, they agreed that—more than anything else—what you wear affects how you’re judged the most in these circles. Not having the latest accessories, or lacking enviable style, they attested, could lessen your overall popularity. “It matters more than being pretty,” one of them said. Where you go to school affects where you shop. The teens I spoke to cited the prestigious Upper East Side Chapin School as being the most mainstream luxury-oriented (think Louis Vuitton and Chanel), while at artsier private schools, like Brooklyn’s St. Ann’s, you’re more likely to see products from Proenza Schouler and Margiela. ​What do you think about these revelations? Sound off in the comments, and shop some of NYC teens' favorite products, below!